Air springs are the only load support product that provide BOTH leveling capacity and improved ride comfort. Only air springs give you load support that is adjustable for your specific load. Add air when riding loaded to ensure your vehicle is level for a safer, more comfortable ride. Deflate the air springs when riding unloaded for optimal ride quality. The two front tires bear the majority of braking and steering. Air spring ensures that weight is properly distributed to all four tires for optimal braking and steering. Progressive rate air springs significantly improve ride quality by better absorbing road inputs, while keeping your tires on the road for better handling. 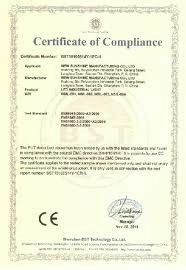 We are professional air suspension producer and supplier. We provide various products, such as, air spring, air shock, air compressor, air suspension spare parts and so on. We also supply truck air spring, cabin air spring, industrial air spring. Check the air lines and devices of leakage and that they turns freely. Check the bellows bearing for damage, correct fastening, deformation, sharp edges. Check the shock absorbers for operation and impermeability as well as tightness and bearing. Periodically, check nuts and bolts for proper torque. 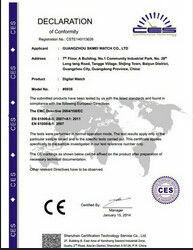 For specific recommendations see manufacturer's manual. Check axle suspension, trailing arms and rods for wear. Check height control valve to see that it is functioning properly. A properly maintained valve will save unneeded maintenance expense. Routine inspection of all of the above according to manufacturer's instructions, will extend the life of your vehicle and reduce your overall maintenance expense. Before you start installing air springs, make sure you have all the necessary tools and equipment to perform the repair safely. Familiarize yourself with the suspension on which you are performing the repair by reviewing the manufacturers service guide. If you are in doubt about something, ask for assistance from a qualified suspension specialist, the suspension manufacturer or the air spring manufacturer; This can save you a lot of time and aggravation later in the job. Check levelling valve, linkage and transmission parts for wear and damage and if necessary replace the damaged parts. Check that the shock absorber for leakages and take a shock absorber test. A defective shock absorber must be replaced. Once the air lines are disconnected, check their entire length for cracks or other damage. Replace worn parts. With the air spring removed, other parts of the air suspension become more accessible. Check for wear or damage of the frame hangers, trailing arm bushings, torque rods, the trailing arms and the air spring mounts. When it is necessary, also replace parts. Check bearing for air spring bellow for external damage, deformation, sharp edges and correct fastening. Before installing the new unit, clean the air spring mounting plates to ensure proper attachment to the suspension. Always use new attaching bolts for the installation and observe the tightening torques. Never use old bolts, because these can fall out. Check the linkage of the levelling valve to see that it is functioning properly. Under load, the linkage should move from the neutral position up to the intake position. This lets air into the springs, which brings the arm back to the neutral position. This lets air into the springs, which brings the arm back to the neutral position. That opens the exhaust valve, allowing air to escape until the arm returns to the neutral position. Then check the driving level.